Wellness programs are growing in popularity and importance in the workplace. Investing in a cost-effective wellness program is as important as implementing a safety program for your office place. To start, finding a qualified wellness leader that will take the initiative and ensure your investment in this wellness program is meeting your expectations and adheres to the best practices, clinical guidelines and latest trends in healthcare. Your wellness leader will also be able to find the best available wellness certification program that fits your company. Here are a few things to look for when seeking out a wellness certification program and where to even start. A wellness certification that works for your office space may not work for the office space next door. Ensuring you are investing in a wellness program that suits your company best is essential and will ensure you are engaging your employees in all ways. A healthy work force has numerous benefits for the employer and the work place as a whole. 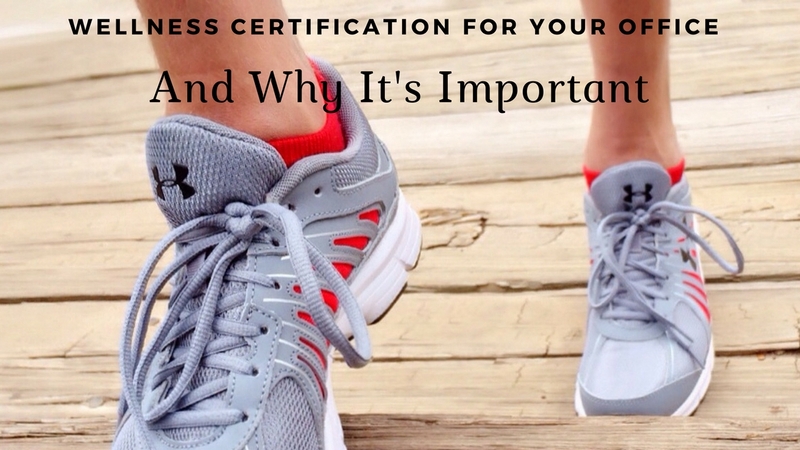 What are the benefits of a wellness certification and your work place? Good employee health and work environment results in higher productivity. A wellness program links the well-being of employees to the atmosphere they work in and ensures a positive outcome for the state of the employee’s health and their families, while also decreasing care costs. More and more employers have a wellness leader in place to obtain a wellness certificate for the office space, monitor the program and its benefits to the employees, and safeguard the program to its entirety. A wellness program should benefit the employees and the employer as well. As a wellness leader or an employer, it’s best to research where you can get your work place a wellness certificate. There are different options to obtain the certificate, however most employers utilize an online based program. It’s quick and thorough, and most programs also include an onsite option. Investing in a wellness program with the right company typically offers a money-back guarantee also. Search for the right program for your certification that will ensure your wellness leader will learn the best way to implement and manage the wellness program that delivers the results your work place desires.